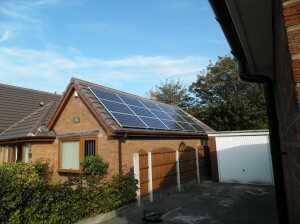 This semi detached house in Ashton has a south west facing roof. 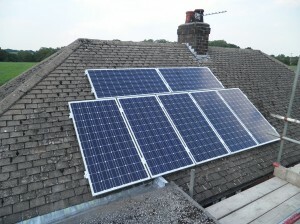 We installed 13 Panasonic 240W hybrid solar panels and a Power-One Aurora PVI-3.0 inverter. The yield projection for this system is 2769kWh per year. This detached bungalow in Fulwood has a south facing roof. 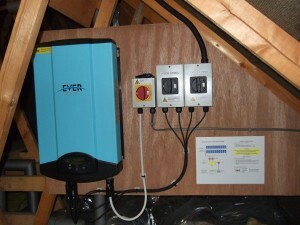 We installed 15 CSUN 200W monocrystalline solar panels and an Eversolar TL3200 inverter. The yield projection for this system is 2559kWh per year. This detached bungalow in Fulwood has a south facing garage roof and a west facing roof on the house itself. 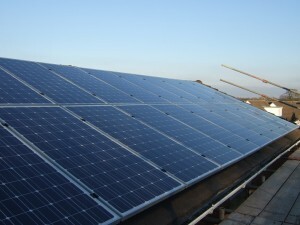 We installed 16 Suntellite 250W monocrystalline solar panels and a Samil 4000TL-D inverter. 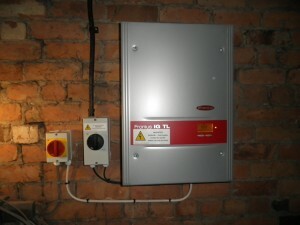 The yield projection for this system is 3197kWh per year. This detached house in Fulwood has a south east facing roof. 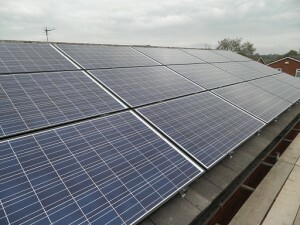 We installed 16 Hyundai 250W monocrystalline solar panels and a Power-One PVI-3600 inverter. 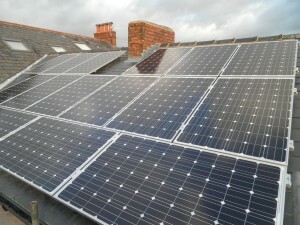 The panels were installed to leave enough space for 1.2m wide roof windows to be installed later. 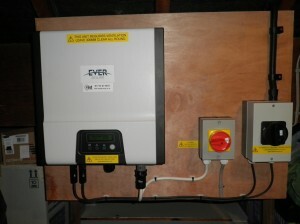 The yield projection for this system is 3390kWh per year. 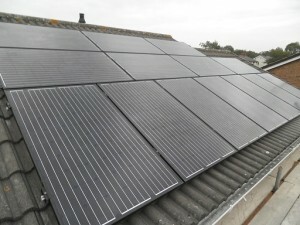 We installed 16 Suntellite 250W monocrystalline solar panels and a Samil 3680TL inverter. The yield projection for this system is 3056kWh per year. This detached house in Grimsargh has a south facing roof. 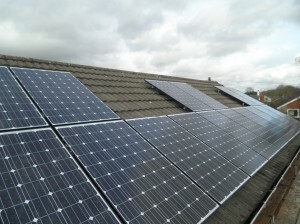 We installed 15 Winaico 250W polycrystalline solar panels and a Samil 3400TL-D dual tracking inverter. 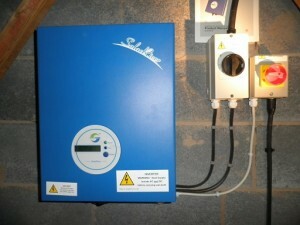 The yield projection for this system is 3506kWh per year. 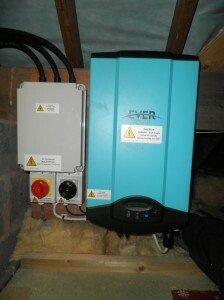 We installed 20 CSUN 200W monocrystalline solar panels and two Eversolar TL2000 inverters. The yield projection for this system is 3472kWh per year. This semi-detached house in Higher Walton has a south facing roof. 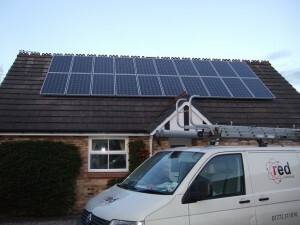 We installed 7 CSUN 200W monocrystalline solar panels and an Eversolar TL1500 inverter. 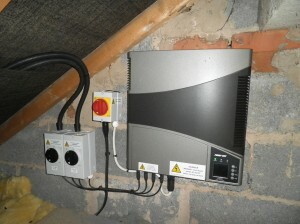 The yield projection for this system is 1209kWh per year. 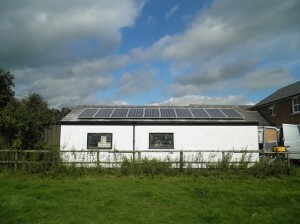 This detached garage in Longridge has a south facing roof. 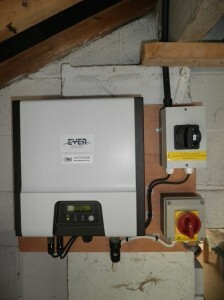 We installed 10 CSUN 200W monocrystalline solar panels and an Eversolar TL2000 inverter. 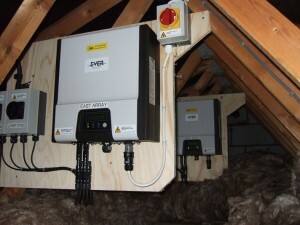 The yield projection for this system is 1722kWh per year. 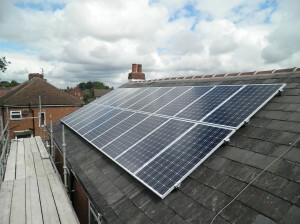 This semi detached house in Longton has a west facing roof. 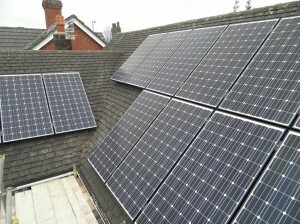 We installed 16 Hyundai 245W monocrystalline solar panels and a Fronius IGTL3.6 inverter. 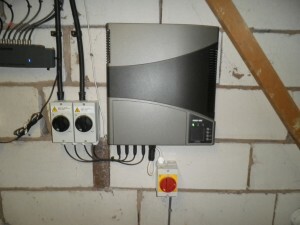 The yield projection for this system is 2835kWh per year. This detached bungalow in Longton has a south west facing roof. 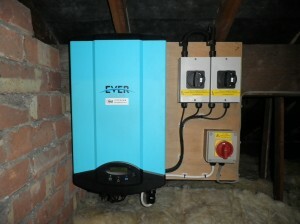 We installed 20 CSUN 195W monocrystalline solar panels and an Eversolar TL4000 inverter. The yield projection for this system is 3262kWh per year. 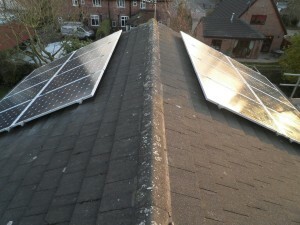 This detached house in Lostock Hall has a south facing roof. 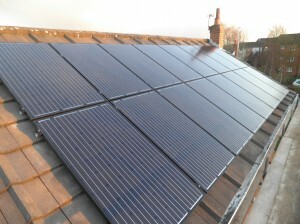 We installed 14 Eco Future 250W monocrystalline solar panels and a Samil 3680TL inverter. The yield projection for this system is 3066kWh per year. This detached house in Penwortham has a east and west facing roof areas. 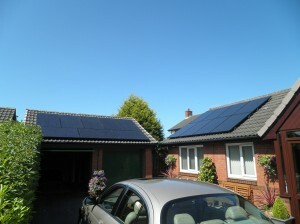 We installed 16 Hyundai 245W monocrystalline panels, 8 on each side. 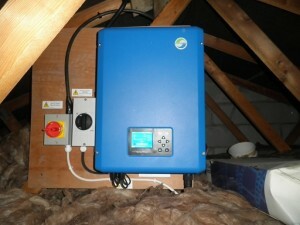 We used a Power-One PVI-3600 dual tracking inverter. 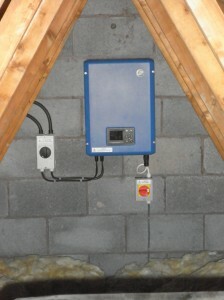 The yield projection for this system is 2760kWh per year. This detached house in Penwortham has a west facing roof. 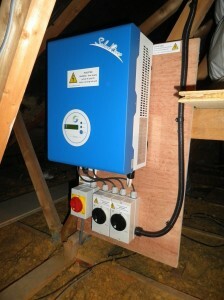 The yield projection for this system is 3075kWh per year.